UPDATE: The title of this article was changed from the present tense to the past following a discussion with the General Manager of Virgin Radio Lebanon in the comment section of this post. The radio management took in consideration those three points and offered some additional insights. I invite you all to check this discussion in the comment section of this post. You may have read my post about Facebook’s rules and regulations concerning promotions on the platform. Article iv of the promotions guidelines state the following: “You must not use Facebook features or functionality as a promotion’s registration or entry mechanism. For example, the act of liking a Page or checking in to a Place cannot automatically register or enter a promotion participant”. 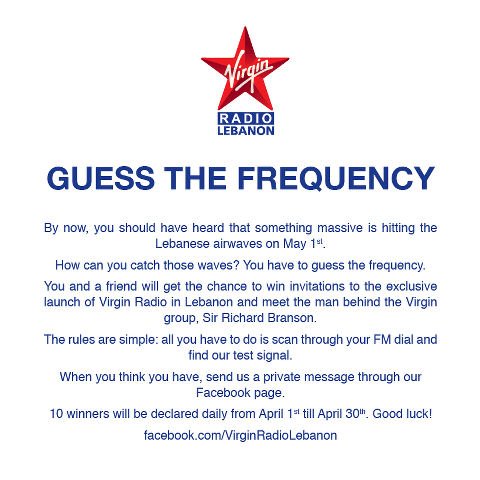 As a pre-launch promotion, Virgin Radio Lebanon is offering the chance to anyone who sends the frequency number of the channel using the message feature to enter a draw to win tickets for the exclusive launch event. It is important to note that the “message” feature is a Facebook functionality and thus this competition breaches the rule stated above. What they should do? The promotion should be administered through a page app as it is indicated in the article i of the guidelines. 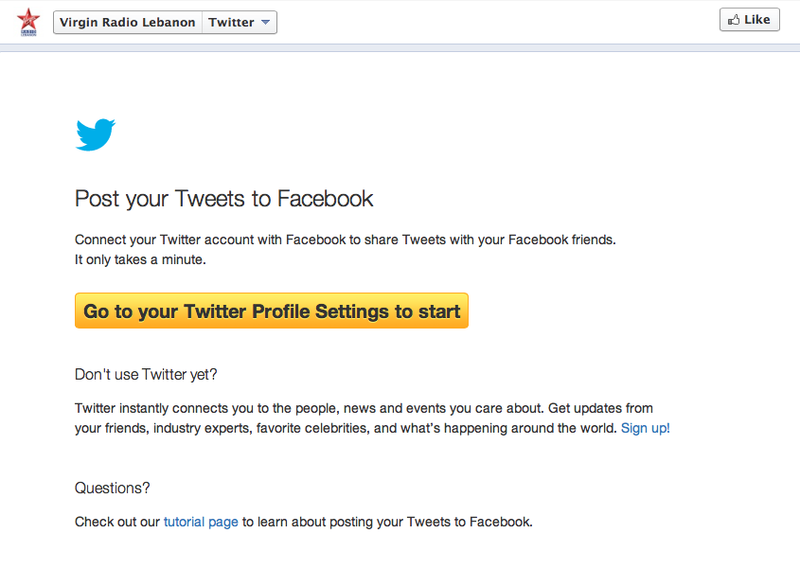 Virgin Radio Lebanon installed a Twitter app on their page on which you are supposed to get access to their tweets. The issue here is that they didn’t connect the app to their Twitter account. Social Media is all about interaction and the community: It is a two-way communication media. Virgin Radio Lebanon disabled the wall of their Facebook page so people can’t post content that is available to the public. The only way you can contact them is through the private message feature but, many people want to share their message publicly or are not familiar with the message functionality and thus end up posting their message as a comment on, sometimes, unrelated posts by the page. This beats the purpose of being present on social media. People want to be heard and share their messages with the community. It is important to note that the Facebook pages of Virgin Radio Dubai and Virgin Radio Toronto for example, didn’t disable the wall functionality. I hope that Virgin Radio Lebanon will read this post and work on the necessary improvements or provide clarifications and wish them the best of luck for their launch in the country! Update: Virgin Radio Lebanon read this post and took it into consideration. Check the comment of the radio’s General Manager along with my reply in the section below. First of all thank you for your comments and the well written article. It is appreciated and well received. – With regards to people not being able to post on the wall, that is actually planned for May 1st (and was always part of the plan). We are currently in the teasing and buildup phase and have not yet started on-air programming or interaction, and are simply running through set steps to build awareness. This will be followed by fully opening our social media for listener interactivity. 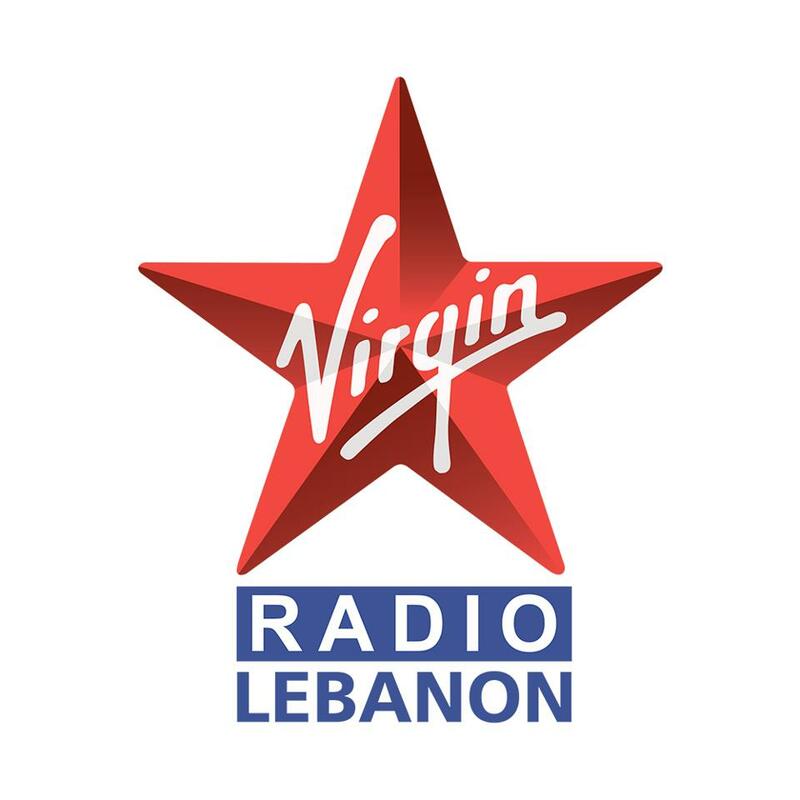 Virgin Radio Lebanon will be fully accessible, reachable and open to the public (even our studios will be open to the public on a daily basis following the launch event). – With regards to linking twitter, I think you might have mistaken the “cannot display page” error that came up from the icon (something that is either from Facebook or Twitter). The two accounts have been linked since day 1 (that actually being less 10days ago). I propose you follow @virginradioleb and check out the linked posts going back to day 1. However you post was helpful and we have now removed the broken page link. – As for the “find our frequency”, this is a temporary campaign related to the buildup and testing period, aimed at creating awareness for the frequency and whereby no products (other than the page owner) had been promoted. Once the frequency officially goes public in a couple of weeks the entire purpose of the page will shift towards the listeners interactivity with the radio station itself. Again I thank you for the well written article and we take to heart everything you have mentioned. Virgin Radio is about you and we will always try to be as reachable as possible. Thanks for reading my post and taking the time to write this comment. First, I am happy to hear that the page wall will be activated at the time of the official launch which is on May 1st. Opening your studios to the public (following a specific schedule of course) is also a nice idea! Second, concerning the Twitter app, I noticed by checking your Twitter account before writing this article that the two accounts are linked but, my point here is about the app not being connected to the Twitter account. As you can see in the screenshot, the message we get is not an error message like the “cannot display page” one for example. It is clear that the app was installed but not connected to the account. Anyway, what’s important now is that the app was removed and I hope it will be back soon and properly functional. Third, in the first paragraph of the Facebook’s promotion guideline they clearly state that by promotion they mean also contests and sweepstakes: “If you use Facebook to communicate about or administer a promotion (such as a contest or sweepstakes)[…]”. Your “Find Our Frequency” contest is thus still not abiding by the rules and regulations. I will gladly add updates to my post concerning the page wall and the Twitter app and invite readers to read your comment and my reply. Thanks again for considering my opinion and bringing in some insights. Best of luck for the launch! Thank you again for your reply and nice words. We are actually having problems with the Twitter app on Facebook. Even though Facebook and Twitter are properly linked, the app does not seem to identify that and sometimes gives a “cannot open page” error or asks us to link the accounts. We have contacted Facebook and Twitter for their help on the matter. Regarding the wall being open for user comments, I think I will take you up on your offer of amending your article as we would not want to give the impression that we are inaccessible since it was always part of the plan to open up the wall as of May 1st (we currently are unable to accommodate user requests such as song selection & feedback, interaction with the radio, etc. All that will change following launch). Finally, regarding using the messaging feature of Facebook, I have actually taken your point into consideration and for the next part of the teasing campaign (which starts this coming weekend), we will be asking people to email us their response. P.S: please feel free to invite readers to view and comment on our discussion. I changed the title of the article by replacing “is” by “was”. Following our discussion I have no doubt that openness to the public and interaction with the community is part of the plan of the radio station. I will find the frequency today and try my luck to win tickets for the launch event. Who do you think you are? Facebook police? Thank you for the updates Jad. Have a good evening. Very interesting article. Mostly of interest is issue 1 (A Promotion Not Abiding By Facebook’s Rules And Regulations). If I remember correctly, the Lebanon Facebook pages of a Lebanese English speaking radio station and a Lebanon cinema chain were at one point shut down because of this very issue. Thumbs up for Virgin Radio Lebanon for being so professional in replying to the post. It still amazes me how many local companies are still not aware of how important social media has become in making/breaking businesses.